(Bloomberg) — There is a complacency haunting foreign-exchange markets. Measures of how much traders expect currencies to gyrate over the coming months have plunged amid apparent assurances from central banks that they aren’t going to create major waves with further policy normalization anytime soon. But some observers, including strategists at Canadian Imperial Bank of Commerce, Morgan Stanley (NYSE:MS) and Scotiabank are raising warning flags about the lack of volatility. While the Federal Reserve has made clear that global risks warrant holding interest-rates steady, a rebound in growth in the second half of 2019 could well put increases back on the radar. Likewise, some warn against writing off entirely the prospect of additional normalization steps from the European Central Bank. Yet the situation being priced by the market is about as calm as it’s been in years. A JPMorgan Chase & Co (NYSE:JPM). 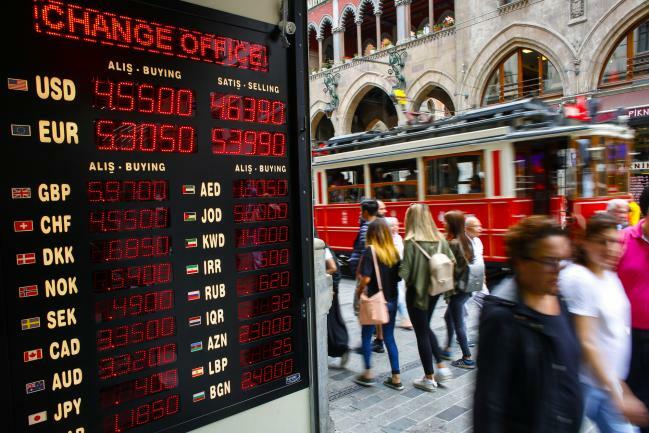 gauge of global currency swings on Thursday fell to around 6.2 percent, its lowest close since 2014 and down from more than 9.3 percent in January. That lack of commotion has been evident not just in currencies, but has also been notable across asset classes. The Cboe Volatility Index — a gauge of Wall Street stock-market movement more commonly known as the VIX — has tumbled by around two-thirds from the level it was at in late December. And in the U.S. government bond market, Bank of America Corp (NYSE:BAC).’s MOVE Index last month touched a record low. “These multi-quarter undershoots are common during Fed pauses and typically require a rates rethink or geopolitical shock to revive,” Normand wrote in a note on Friday. The shift in stance by major central banks in the past few months does give a better backdrop for risk assets, according to Scotiabank strategists Shaun Osborne and Eric Theoret. But with liquidity low and complacency potentially edging higher, “a blow up in volatility is perhaps lurking around the corner,” they wrote in a note Monday.